In the auditorium of the University solemn presentation of diplomas to graduates of Aerospace Institute of NAU. On behalf of the Institute with welcomed words to the alumni appealed Director of the Institute Shmarov V., a.d. Dean of MEF Ladogubets and Dean of FLA Ignatovich S. and on behalf of the academic staff of the Institute – Head of the department issuing the production technology and recovery of aviation equipment Kudrin A., head of the issuing department of the hydro-gas systems Zayonchkovsky G., Head of the graduating department of the theoretical and applied physics Kuznetsov A., Head of the issuing department of conservation airworthiness Dmitriev S. and head of the department of technology graduating airports Tamargazin A. The words of sincere gratitude to the faculty of the institute performed by graduate Jana Homyuk. 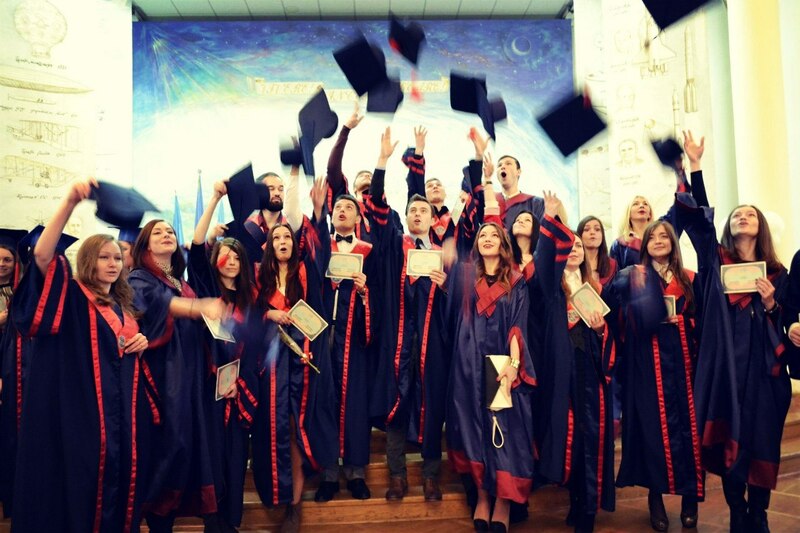 Graduates AKI delivered 185 diplomas CMOs “Master” and “Specialist”, of which 19 – with distinction, as well as 54 certificates of NAU on the passage of a full training course for specialists and masters program in English.